Hello, my name is Syahmi Razak and this is the first time I have written for Ace Trainer. Firstly, a little bit about myself. I’m currently studying my final year at the Queensland University of Technology in Brisbane. I’ve been playing the Pokemon TCG since 2013 and have been active in the competitive scene this year. So far this year, I have won two City Championships, a top 8 in another City Championship, two top 4’s in the Regional Championships and a top 4 in a League Challenge. This came to a total of 340 championship points and cool Worlds invite to go along with it. The week before the Canberra – Sydney regional double, I was looking for a fun deck to play as I had already earned my worlds invite. I really liked the supporter engine from Maxie’s Hidden Ball Trick and Archie’s Ace in the Hole, so I made some decks that focused around those two cards. After I tested some bad decks, I was able to narrow down my options to two choices: Mega Manectric/Primal Groudon with Maxie’s and Keldeo/Blastoise with Archie’s. These two decks had their own strengths and weaknesses. The biggest draw for these decks were that they have the ability to 1HKO pretty much everything in the current metagame. Their weakness though was that they can be hard to setup as sometimes you might miss the Maxie/Archie in crucial parts of the game. The day before I left for Canberra, I made a choice to use Keldeo/Blastoise as this deck had better matchups overall. The main attacker for this deck. 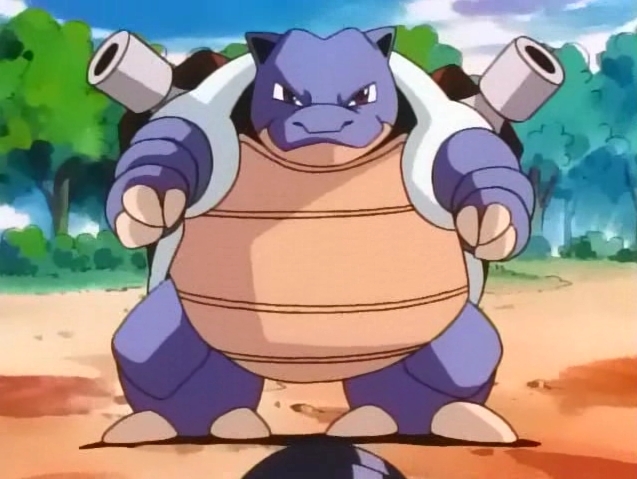 Once I setup Blastoise, It was simply a matter of attaching 6 energy to hit for 170 damage for things like Yveltal EX and Mewtwo EX or 7 energy to hit for 190 damage to 1HKO those 180 HP Pokemon. 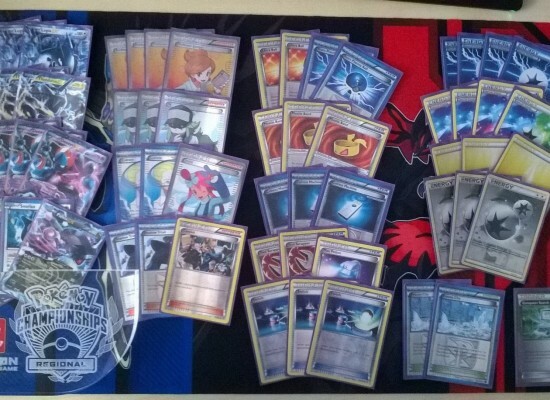 My backup attacker for Keldeo EX, and coverage for the weakness of this deck. After attaching 6 energy on Keldeo EX, my opponent could just attach a DCE and a muscle band on their own Mewtwo EX and get a 1HKO on my Keldeo EX. Mewtwo EX allowed me to grab a quick revenge KO on their Mewtwo with only 3 energy. This was my MVP card for the weekend. Its second attack, Cryofreeze only costs 1 water energy and makes it so that the defending Pokemon can’t attack the next turn. This card helped me in Seismitoad or Exeggutor matchups if I wasn’t able to setup a Blastoise in turn 1. Jirachi EX is really important in my deck as I can Ultra Ball for it and get Archie’s to set up a Turn 1 Blastoise. I played 2 Jirachi in my list as I always start with lone Jirachi T_T. Usually to setup Archie’s, you need to burn so many resources. This deck played 4 Ultra Balls, and 4 Superior Energy Retrieval and so to prevent more resources being discarded, I decided to play 2 Exeggcute to be used for discarding and with Battle Compressor it wasn’t hard to get them in the discard pile quickly. Brandon King was my travelling buddy from Brisbane. While we were driving to Canberra, Bodhi Cutler and I gave the idea for this deck to Brandon and we built it together. This matchup is quite tough for me. The first game was a close one as he made a lot of mistakes since this was his first time playing with a Virizion deck. 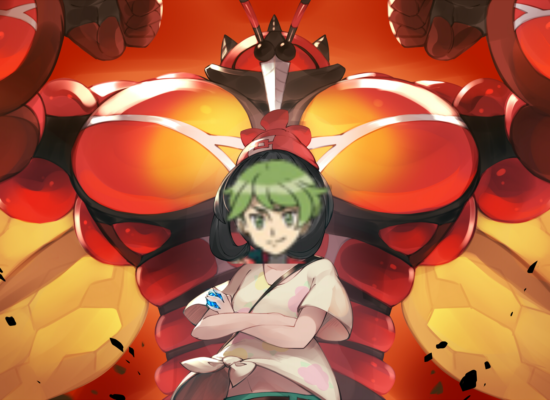 I remember him using Lysandre on my Blastoise and knocked it out with his Virizion EX. At this point he only had 1 prize left while I was still at 3 prizes. I N’d him to one and revenge KO’d his Virizion EX with 7 energy on Keldeo EX. Here he just needed a DCE on Mewtwo EX to revenge KO my Keldeo EX and he top decked it. GG first game. 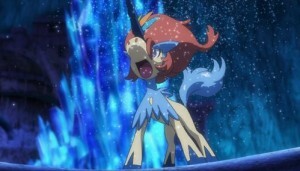 For game two, I think I got Archie’s turn 1 and attached 6 energy onto Keldeo EX. From there it was pretty much a sweep so he scooped. Game three I started with lone Keldeo and had 5 water energy and a superior energy retrieval. He donked my Keldeo with an Emerald Slash from Virizion with a Muscle Band and a Laserbank. Another Virizion matchup for me, but this time my opponent was unlucky in his first turn. He started with Virizion EX but whiffed the energy attachment on turn 1. I got Archie’s turn 2 and just steam rolled fromt there. Game 2, I had setup Blastoise really late and he had already taken 3 prizes by the time I got Blastoise out. I lost the prize trade so I scooped. Game 3, I got Archie’s on turn 2 and 1HKO’d his active Mewtwo EX, he used Lysandre on my benched Blastoise to KO it with Emerald Slash. At that time, I had 3 cards in my hand – VS Seeker, Ultra Ball and Bicycle. I used Ultra Ball by discarding the Bicycle and my draw card to get another Keldeo and I used VS Seeker for Archie’s. My opponent was surprised as I had setup another Blastoise in my turn. From that point I just spammed Secret Sword for the win. I think this round, both games I got Archie’s in turn 2 and just used Lysandre on his Klink before he could setup his Klinklang as he didn’t have any way to 1HKO my Keldeo. In this matchup I had to get Blastoise turn 1 no matter what because once Exeggutor got the blockade up, I wouldn’t have any way to setup with Archie’s. Game 1, I got the Archie’s turn 1 and I think he had to Juniper away his 3 Exeggutor in his first turn. Game 2, I got Archie’s turn 1 again and from that I just had to keep attaching energy and use Superior Energy Retrieval to keep knocking out his Exeggutor. Game 1, I couldn’t set up my Blastoise early and he used Geomancy about 3 times. By the time I had Blastoise out, he had something like 9 Fairy energy on field. I remembered I knocked out his baby Xerneas and he returned the favour by knocking out my Keldeo with Mega Gardevoir which I returned back by revenge KO’ing his Mega Gardevoir with 8 energy on another Keldeo. Since he still had 6 energy left on the field, he could still hit for 180 damage with his second Mega Gardy. I needed 2 Superior Energy Retrieval to get 8 energy back from the discard pile, to revenge KO the Mega Gardy. I got 1 from the prizes, and there were 2 more in the deck. I used Juniper to discard my hand, and I used acro bike and bicycle to keep digging for the Superior. I failed, and I scooped. Game 2, I went first, and I got Archie’s turn 1. I just attached 6 energy on my Keldeo and kept using Lysandre on the benched Gardevoir EX. Game 3, I got archie’s turn 3 but he didn’t have a supporter for 5 turns. It was pretty much game from there. We ID’d this round as we were both at 4-1-0. Game 1, I won the coin flip, which meant I could start and have 2 turns to setup Blastoise with Archie’s. If I couldn’t get Archie’s in 2 turns, I would scoop as his blockade would prevent me from using any supporters. I couldn’t get Archie’s turn 1 so I scooped. Game 2, I got Archie’s in my second turn and I just steam rolled from there. Game 3, where he got to start 1st meaning I would only have 1 turn to get my Blastoise out. However, Daniel started with lone Jirachi EX and he basically drew dead. I got Archie’s turn 2 and 1HKO’d his Jirachi. I used the same formula I had with Daniel against Marcus. This time, I lost the coin flip, so he got to start first in game 1. Game 1, I had to get Archie’s on my first turn, I didn’t get it and he blockaded me – I scooped. Game 2, I got Archie’s on turn 2 and I kept KO’ing his Exeggutor and after a few turns he scooped as his Lysandre’s Trump Card was prized. Game 3, same as Game 1. I only had 1 turn to get Archie’s down to setup Blastoise. I remembered that I whiffed only 1 card to get a turn 1 Archie’s. I played Jirachi to get N and hoped my opponent would draw dead after the N, however my N was in the prizes. I scooped because I couldn’t do anything the next turn. After the top cut matches, I remembered I had Cryogonal in my deck and I forgot to play it against Exeggutor. In hindsight Cryogonal could have helped to delay blockade for a few turns. I really liked having multiple Keldeo in this deck as I wasn’t weak to Hypnotoxic Laser as you can double Rush In if you flipped tails for sleep into your turn and flipping tails on sleep can be frustrating. I’d like to give huge thank you to all my friends especially my testing group – Poliwags (consisting of Amy Wilson, Anthony Smith, Bodhi Cutler and Jessica Karim) that helped me in testing and to get my Worlds invite. As I always said to myself, just believe in yourself is really helping me to keep me calm in every match and tournament. Finally, I’d like to congratulate all my Brisbane friends that received their Worlds invite too – Bodhi Cutler, Blake Davies, and Brandon King. 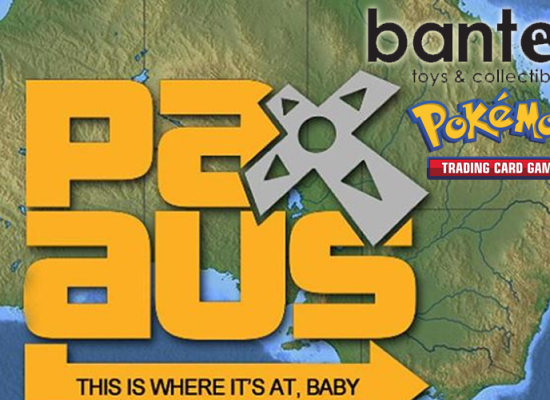 I’m definitely looking forward to going to the Pokemon World TCG Championship with you guys.